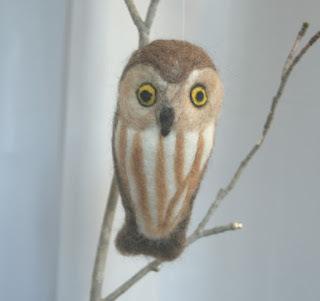 I've been working on owls lately. 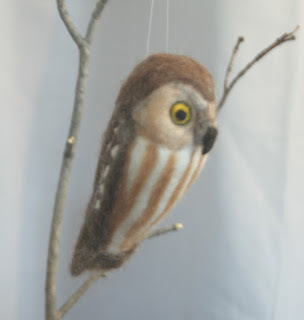 This one's a saw-whet owl, a really tiny owl that eats mostly bugs. I have a great horned owl in progress. I was inspired by a photo I saw in "Birds and Blooms" of a close-up shot of his face , looking really surprised that someone was taking his picture. I'm not sure I'll get the expression right, but it's a great close-up, showing all the detail of the facial coloring. It'll take me a few more days to complete him, then I'll put the photo up.